perating Frequencies Band L: 575.000 to 608.000 MHz, 100 frequencies Band M: 614.000 to 647.000 MHz, 100 frequencies DISCONTINUED IN NORTH AMERICA Not all frequency bands available in all areas. Please check with local regulations. Operating Range 100 m (300'), typical Open range environment with no interfering signals. Operating Temperature Range -5° C (23° F) to +50° C (122° F) Battery performance may be reduced at very low temperatures. 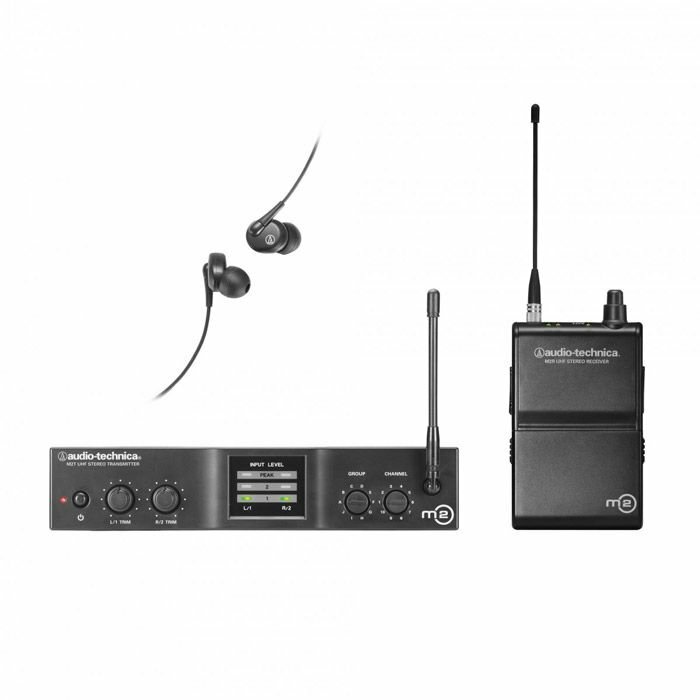 Simultaneous Use 10 channels per band (maximum recommended) For assistance with multi-band operation or other frequency coordination issues, please contact your local Audio-Technica customer service representative.